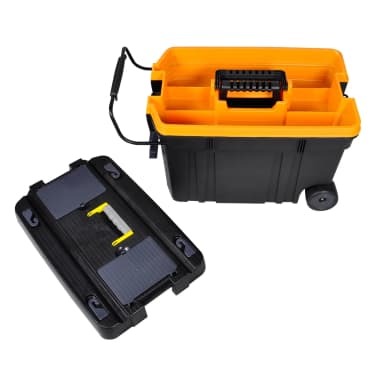 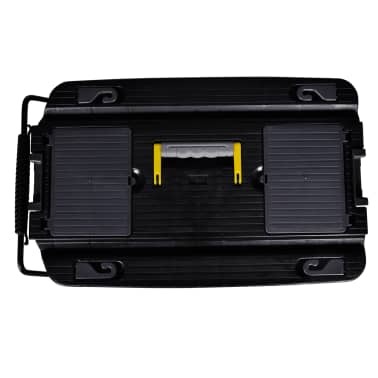 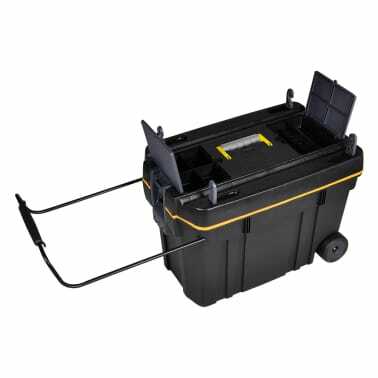 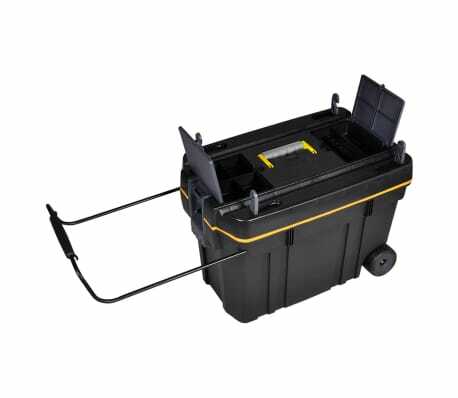 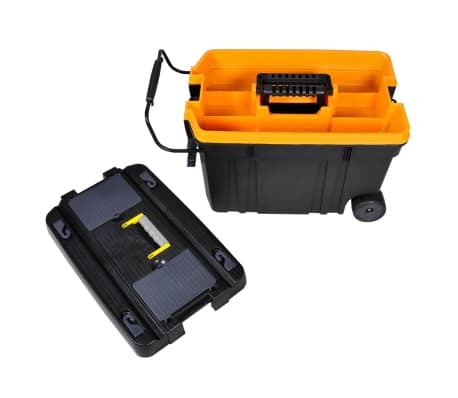 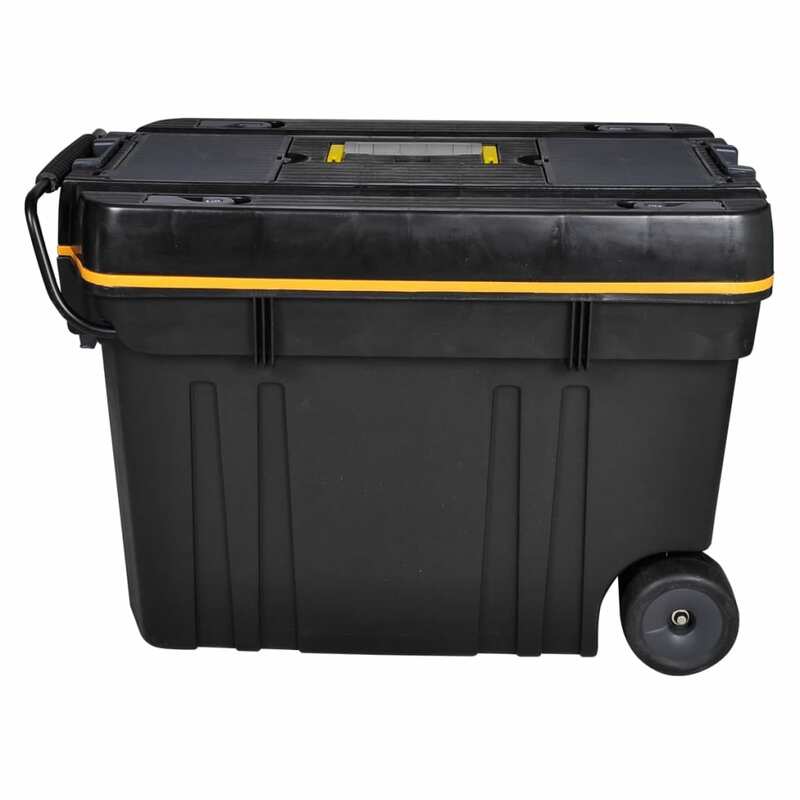 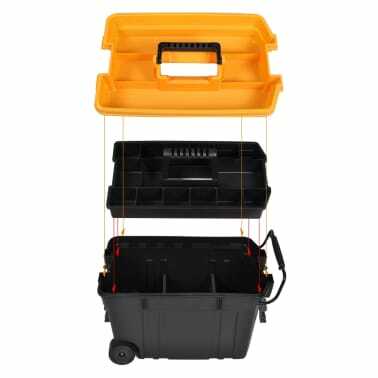 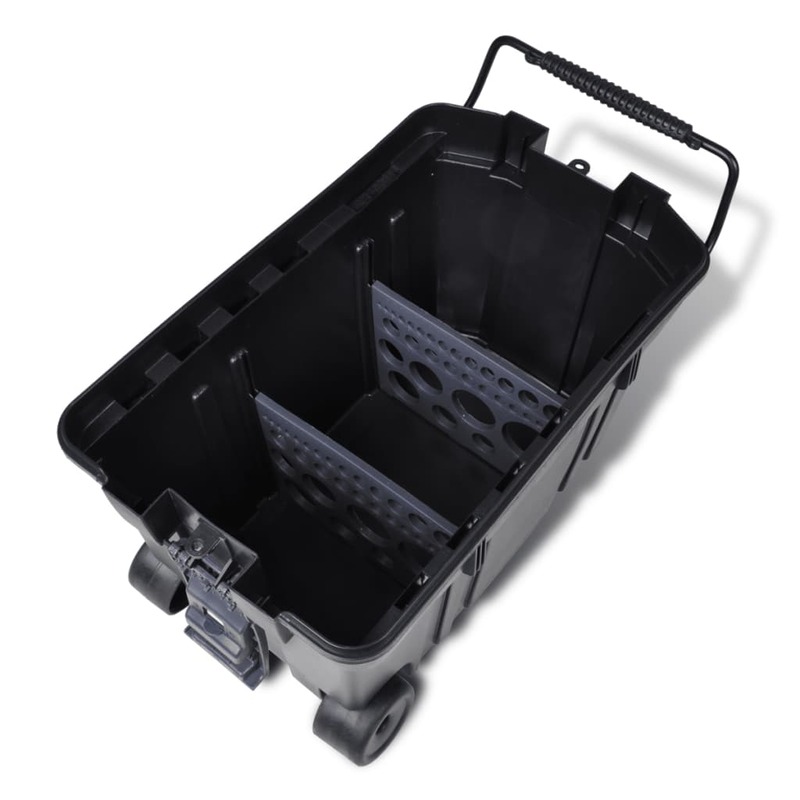 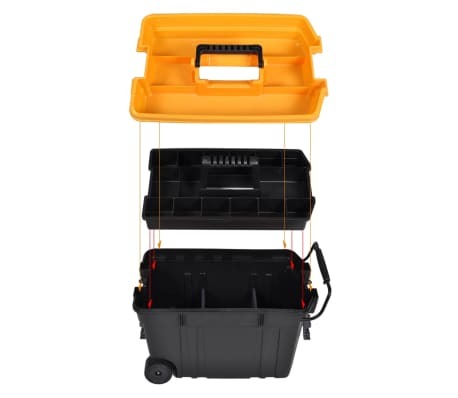 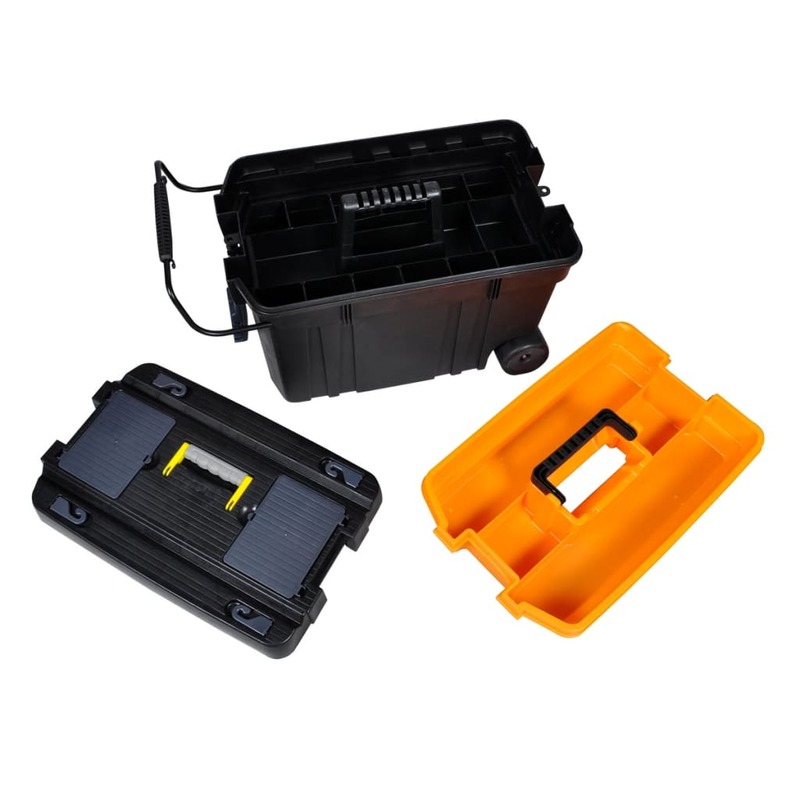 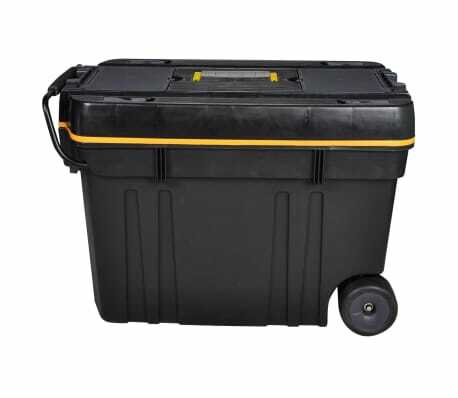 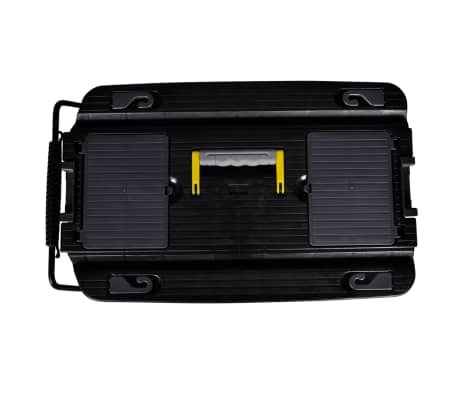 The largest tool case is equipped with 2 wheels and an adjustable telescopic handle. 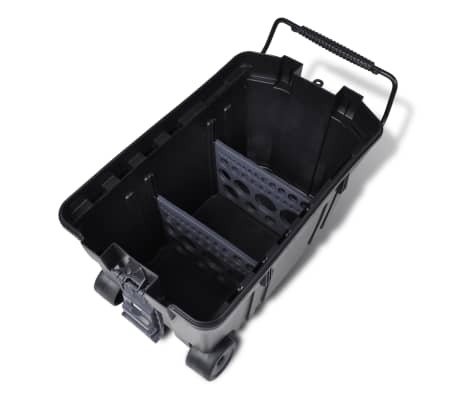 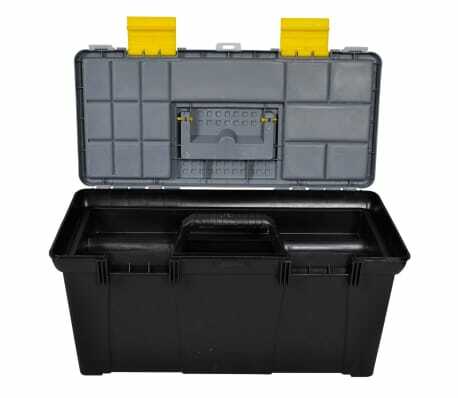 In order to better accommodate different-sized tools, this case lid contains two panels in gray. 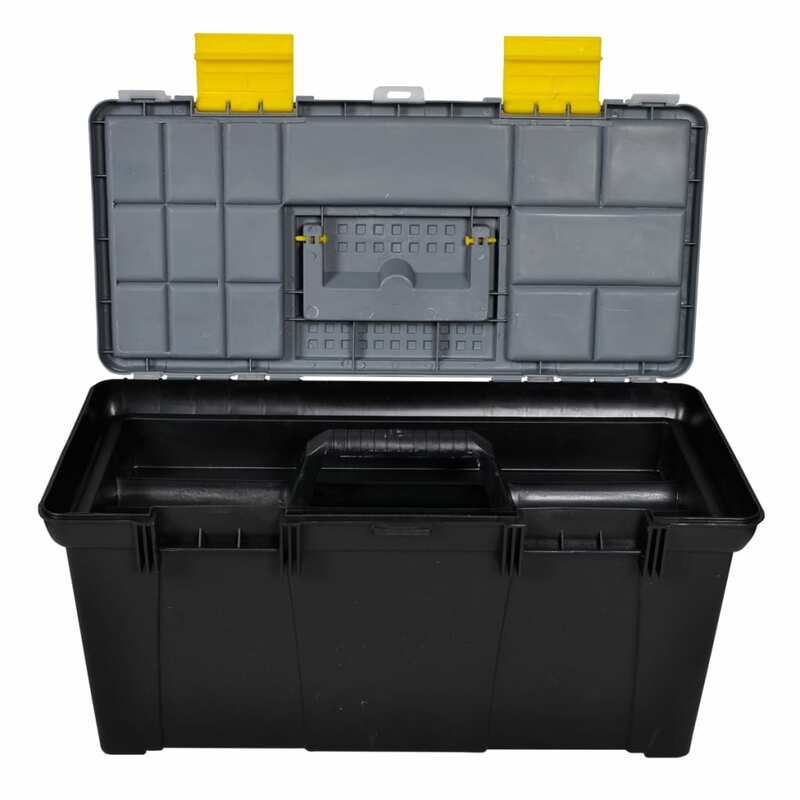 There're 4 small cubic spaces in one panel, and 2 small rectangular spaces in the other, both of which provide extra space to put small tool parts, like screws and nuts. 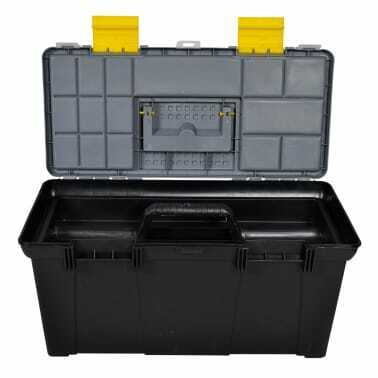 The interior case has 2 dividers, separating it into 3 spaces, very spacious, so you could put even larger tools there. 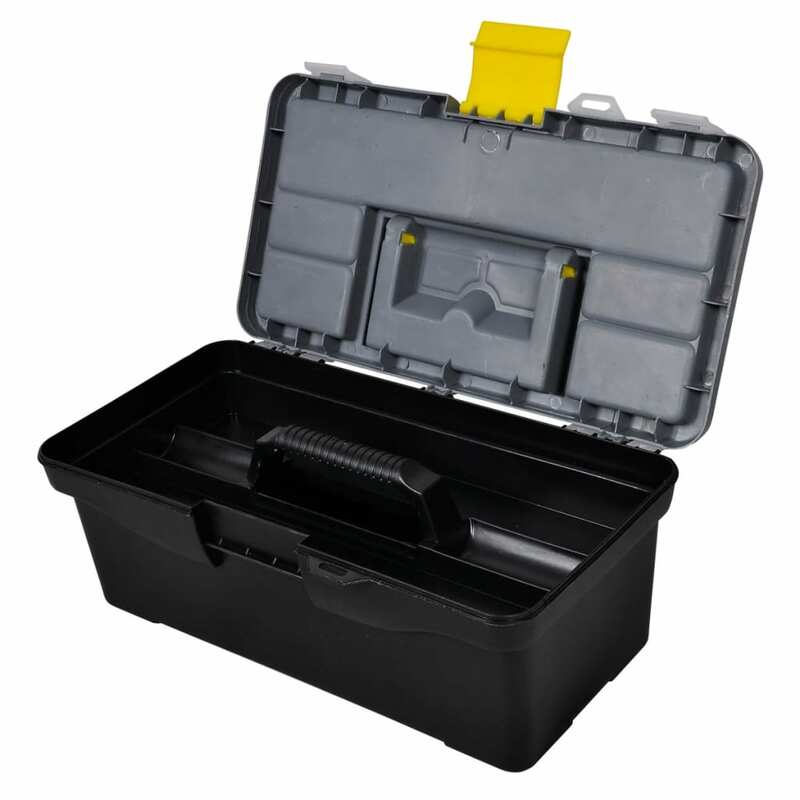 This case has a handle on the lid, and the lid also has a transparent panel. 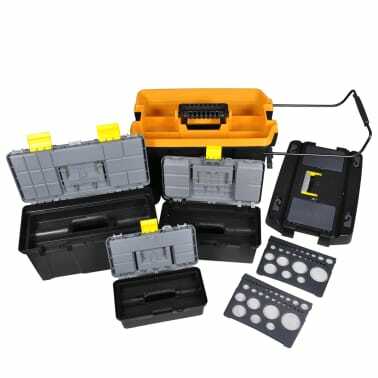 Open the panel, you’ll find 15 small spaces to accommodate small tool parts of different sizes. 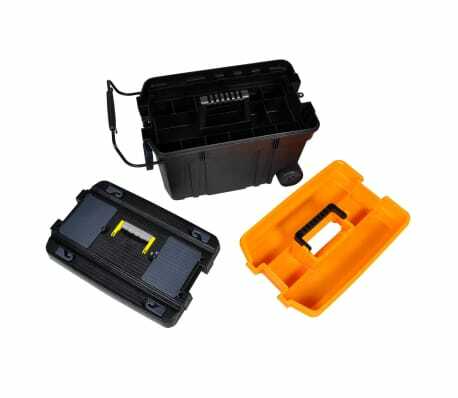 This case has a handle on the lid, and the lid has 2 transparent panels. 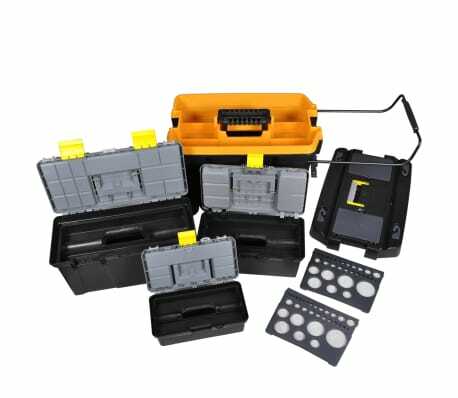 Open the panels, you’ll find 9 small spaces to accommodate small tool parts of different sizes. 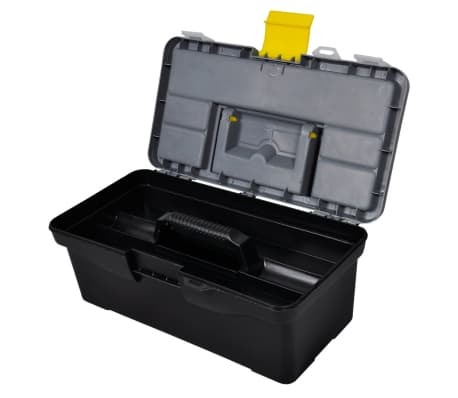 This case has a handle on the lid, and the lid has a transparent panels. Open the panel, you’ll find 8 small spaces to accommodate small tool parts of different sizes.